She was self-taught. She developed a love of painting at an early age and received her first lessons at school from her teacher, Andreas Thymopoulos. She began painting in earnest in 1951, at the age of 40, and continued to paint ceaselessly into her old age. 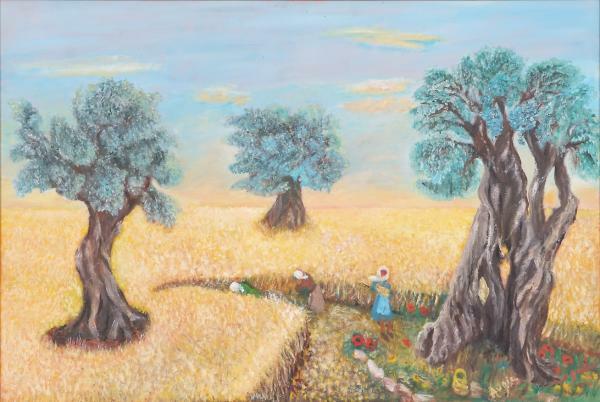 Her choice of subject matter includes flower paintings and landscapes. Her painting falls under the category of naïve art and is marked by spontaneous feelings and a poetic dimension. She never exhibited her canvases, instead donating them to charity events and giving them as gifts to friends.